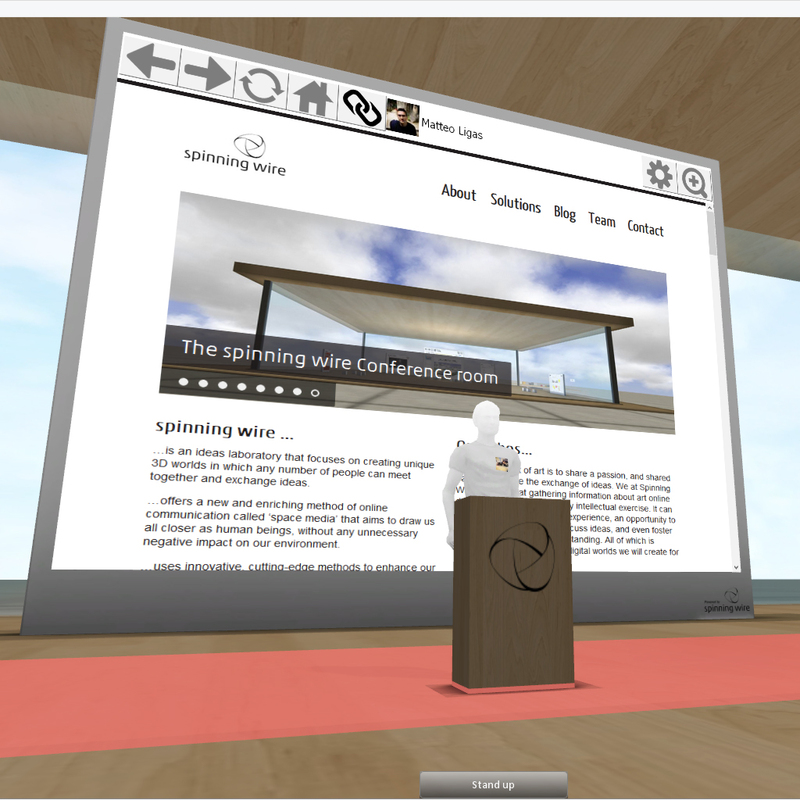 The spinning wire conference room is a 3D collaborative application for conference, meeting and workshop. 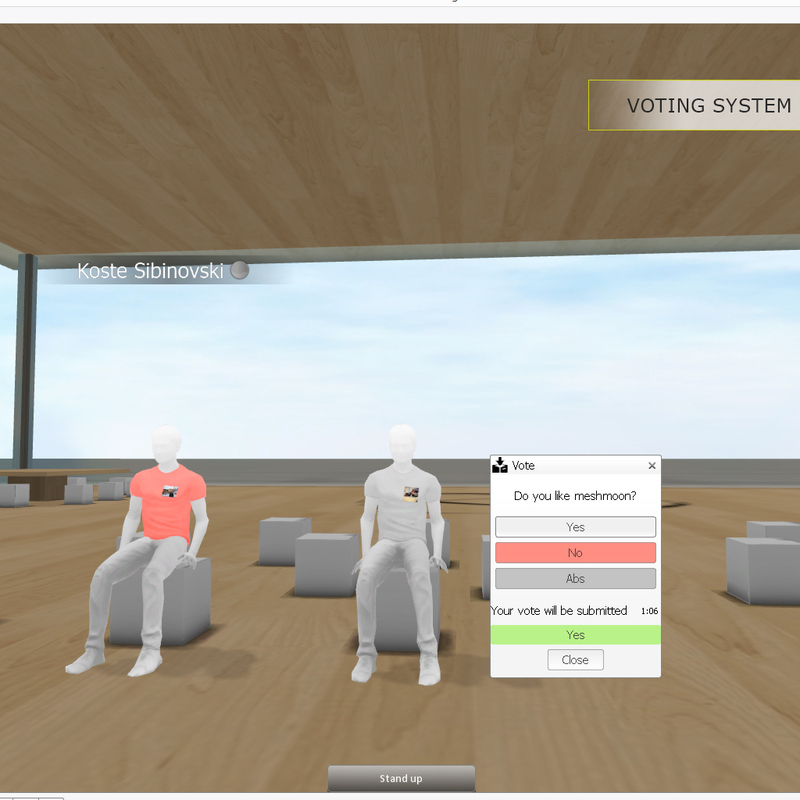 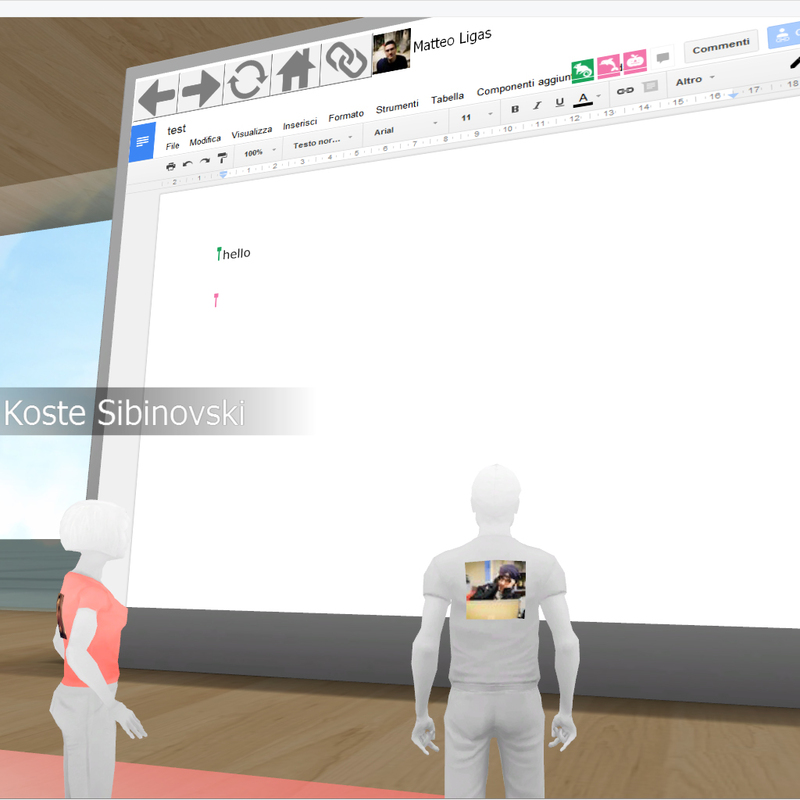 In this nicely designed 3d space up to 25 participants using avatars can meet and talk together, share info, make a presentation and have collaborative work sessions in a relaxing and good looking enviroment, designed specifically for conferences and meetings. 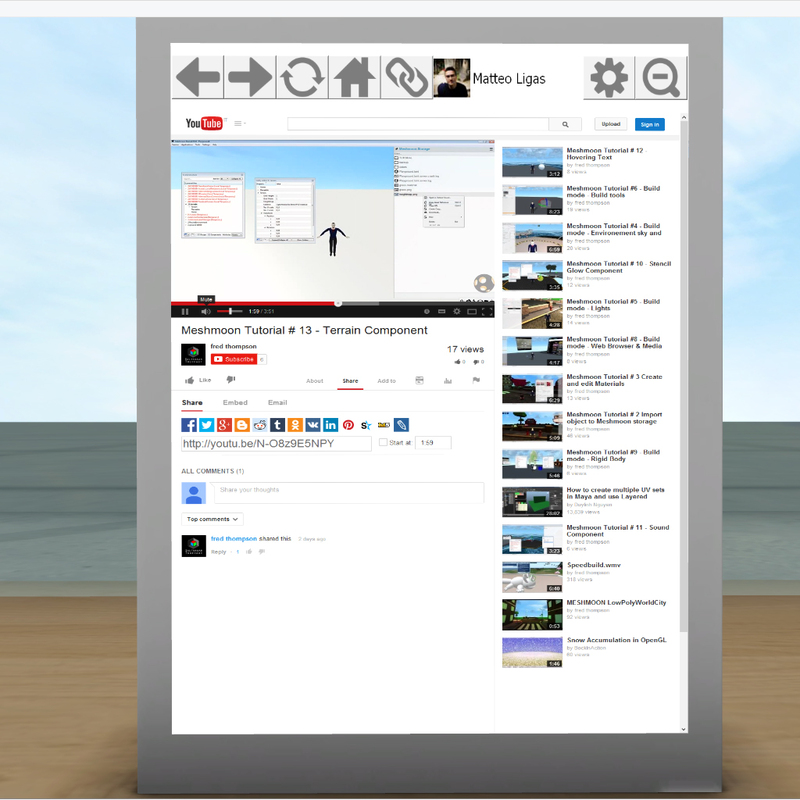 Get Meshmoon credits via PayPal and purchase applications for your 3D spaces.